After enjoying its best year to date and investing in new staff at its Southend store to bolster its service levels, successful South East mobility retailer Lifestyle & Mobility is now expanding its presence into Harlow and is searching for a new team to run the store. Located on the high street in Harlow, the new 7,500 sq ft. store promises to be the growing retailer’s “biggest and brightest” store yet, as well as hopes for it to become its highest earning branch in its portfolio. Currently, the retailer has stores in Basildon, Southend, as well as a specialist centre in Potters Bar. To ensure the new flagship store, the company is recruiting for a number of roles to be based at the store, including an experienced Showroom Manager, enthusiastic Showroom Assistant, as well as a knowledgeable Mobility Service Engineer. Featuring in THIIS’ Retailer Spotlight in 2018, Managing Director Aaron Sverdloff and Business Development Manager Darren Macey explained how the Essex-based mobility retailer had managed to avoid being drawn into costly price wars by carefully selecting which suppliers and products to sell. 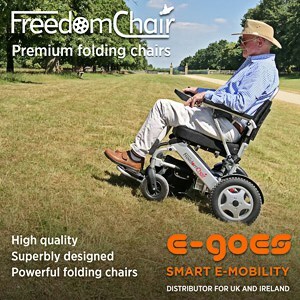 The company has also worked hard to distinguish itself as a specialist provider of active wheelchairs and powerchairs, ranging from basic to complex needs. “It is one of the ways that we help ensure we aren’t competing with the online boys on price. Generally, these aren’t the types of products they are usually stocking because they tend to be on the higher end of the price spectrum and require more specialist knowledge,” he added.